Video from the American Lung Association. Established in 1996 the Preventing Tobacco Addiction Foundation strives to reduce the terrible toll of smoking and tobacco use through a preventive effort. The belief that tobacco use is a voluntary risk continually undertaken by smokers themselves is belied by the fact that virtually all nicotine use begins in adolescence when experimentation and risk-taking are part and parcel of normal development. That early exposure permanently alters neuro-receptors in the deepest, most ancient parts of the brain that then manifests as ongoing desire or addiction. Preventing that early inoculation requires a concerted societal and political strategy including school-based education, reduced media exposure, counter-marketing, tobacco and smoke free homes and public areas and youth access restrictions. We vigorously support all of those efforts in addition to our focus on raising the legal minimum sales age to 21. Tobacco remains the leading cause of behavioral death in the nation, yet little has evolved in the way we combat this health issue. 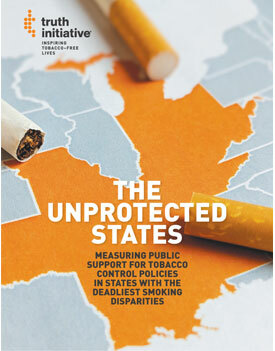 Over the last several years a new tobacco control policy, Tobacco 21, has moved quickly through the nation and now covers over 25% of the U.S. population. See the Empire High School SWAT deliver Tobacco 21presentation to the City of Tucson City County. Presentation starts at 2:22:21. A Tobacco 21 Presentation provided by the people at the Preventing Tobacco Addiction Foundation. A Tobacco 21 Presentation with Talking Points provided by the people at the Preventing Tobacco Addiction Foundation.